Welcome to March, everyone! Spring and warm weather in Chicago is almost here. 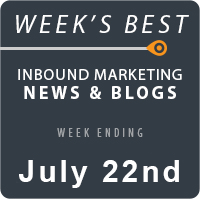 In the meantime, let’s focus on this week’s inbound marketing news. We found a lot of exciting stories this week. Some of the most interesting ones include Google adding restaurant menus to search results, Twitter putting out social stats from the world’s most retweeted tweet, and Facebook in talks to acquire a drone maker company. In the SEO industry, many rumors get muddled in with the facts. We think it’s time to set the record straight! David McSweeney brings out the truth when he lists 85 SEO myths and facts. Reading articles is all well and good for SEOs, but there is much you can do to acquire knowledge in this large industry. Live discussions inspire thought and incite conversations that can’t be as quickly generated in an article. Springboard SEO shares weekly SEO hangouts you do not want to miss. It was only a matter of time before Google updated its search engine again. This time, it is an update to the official SERP. Matthew Barby highlights the new Google Knowledge Graph layout in a post. SEO remains a powerful resource to grow traffic, but there are other ways to grow your site. Utilizing all of these strategies together sends your site far above the others. Learn about these tactics from the man behind the @SEO Twitter handle, AJ Ghergich, in an interview with David Cheng. We know the benefits of using social media, but what about social monitoring? It turns out that knowing your business’s word-of-mouth matters a great deal. Carly Stec describes three reasons why monitoring makes a difference. As a business or brand, when we think “Facebook” we often think in terms of likes and not necessarily sales. Nevertheless, Facebook can be used to increase your online revenue. Terrence Ngu posts five tips to boost social sales figures. User time is drawn away every second by ads, content, or real world distractions. How do you cut through the noise and have your message heard? Tommy Walker enlightens us in filtering the noise with this article. To get your local business moving, it quickly needs reviews! Other than encouraging your customers to leave reviews, what options are there? Paula Allen posts 12 helpful tips to get more reviews. Personalization is the wave of the future in local marketing. How integral is it to your specific local strategy? Robert Durkin details the relevance of personalized data in a smart piece. Business are competing both on and offline for viewers’ attention. Do you think you have the local edge in your industry? Anvil Media lays out a solid playbook for crushing your competition. It is a common practice for local businesses to cultivate several domains for targeting multiple locations. Phil Rozek points out the pros and cons to employing such a strategy with an intuitive post. Your email subscribers aren’t all the same. You have to start experimenting with segmentation in order to effectively get the most out of your list. In an article, Steven Carlisle demonstrates several approaches to segmenting email subscribers. Autoresponders can be used for more than just letting your clients know you’re away. They can be configured to promote special offers and retain new subscribers. Kasia Pietka presents a brilliantly illustrated infographic to bring her point home. Now that Gmail is pushing its “unsubscribe” feature, does it spell the end for email marketers on the platform? Far from it, if your business is giving out the messages they want. Ian Marshall explains the effects of this new feature. There are mountains of articles detailing the benefits of mobile marketing for your business. Now, listen to a discussion on the potential of mobile upon active implementation! Mobile Mixed’s Greg Hickman is interviewed by Zeb Welborn in a podcast. Pinterest’s mobile revenue is up more than 224% in January 2014. How can you explain this surge in ROI? Nick Mueller gives us a visual of the data and statistics. If your website is targeting mobile users, you will need to broaden your statistical awareness where Google Analytics is concerned. Are you up for the challenge? Tim Jensen elaborates on the reports to hone in on to build smarter mobile sites. How exactly do you judge the impact of the content marketed to your audience? There are several ways to go about doing so. 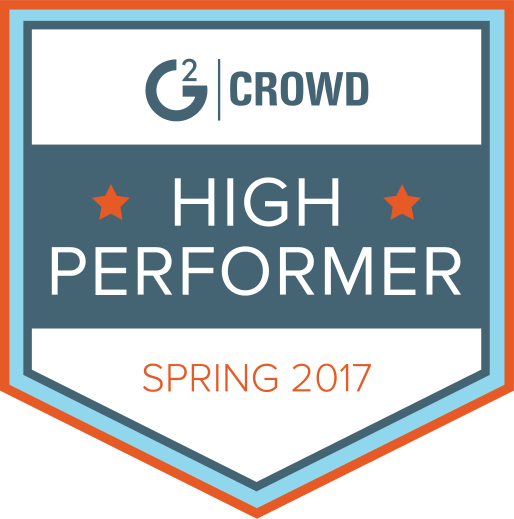 Taylor Radey posts up a content marketing scorecard just for you. Before you can use content marketing and strategy, you must first know what the terms mean. Kelly Harbaugh sets out to provide us with complete definitions in a very solid breakdown. One of the most common problems in content marketing is that marketers don’t promote! Don’t wait for your content to be discovered: get the message out there. Brian Lang gathers more than 40 experts to share their strategies and promote content. Creating valuable content takes time and effort. This is why you must become a master of time management if you want to get your content (as well as your business) off the ground. Yvonne Lyons displays optimal ways to complete your content. Getting more leads is not a numbers game. However, you can certainly use gamification as a tool to increase your conversion rates. Ramon Ray takes to the stage to declare the positive effects of game principles on CRO. There is a lot more to conversion than posting big, bright call-to-actions all over your landing page. You must first evaluate how customers perceive your call-to-action so that they can TAKE action. In this engaging post, Stephen Wendel teaches how to aid users in conversions. At a high level, you have two groups of customers: current and new customers. What’s your plan to retain consumers you already have? Nate Desmond lists five ways to make your customers happy. In many cases it’s best not to let the Internet sort out whether or not your business is reputable. Get out in the trenches, and be a positive force for your brand! Gary Brewer writes on how proactive reputation management is essential for your business.